Stock Original Vespa Seat for ET2/4. This seat is black vinyl. It comes with the strap and has the pull-out luggage hook at the front. It does not include the lock and tumbler set. 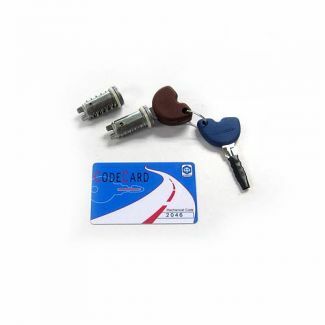 See Reference #573430 for Piaggio lock and tumbler set. See Reference # 573905-AM for aftermarket lock and tumbler set without chipped keys for the immobilizer.